Olympic champion Omar McLeod took advantage of the perfect conditions to smash the meeting record in the men’s 110m hurdles at the Istvan Gyulai Memorial in the Hungarian city of Székesfehérvár on Tuesday. In his first race since his surprise loss at the IAAF Diamond League meeting in Paris on Saturday, the Jamaican got out well but struggled to shake off the challenge of world champion Sergey Shubenkov. 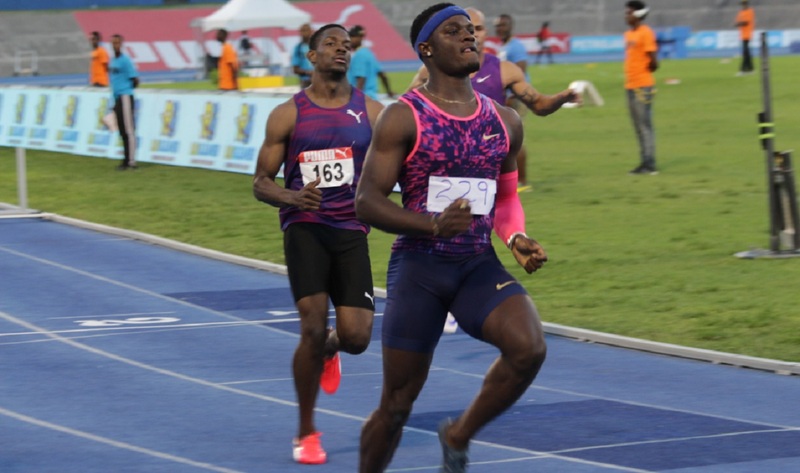 McLeod eventually managed to edge ahead to take the victory in 12.96, just 0.06 shy of the recent national record he set when winning the Jamaican title. Shubenkov crossed the line in 13.01, his second-fastest time, while world record-holder Aries Merritt was third in 13.11. Much to the delight of the crowd, Hungary’s Balazs Baji broke his own national record in fourth, clocking 13.15. The Istvan Gyulai Memorial formed part of the IAAF Hammer Throw Challenge.